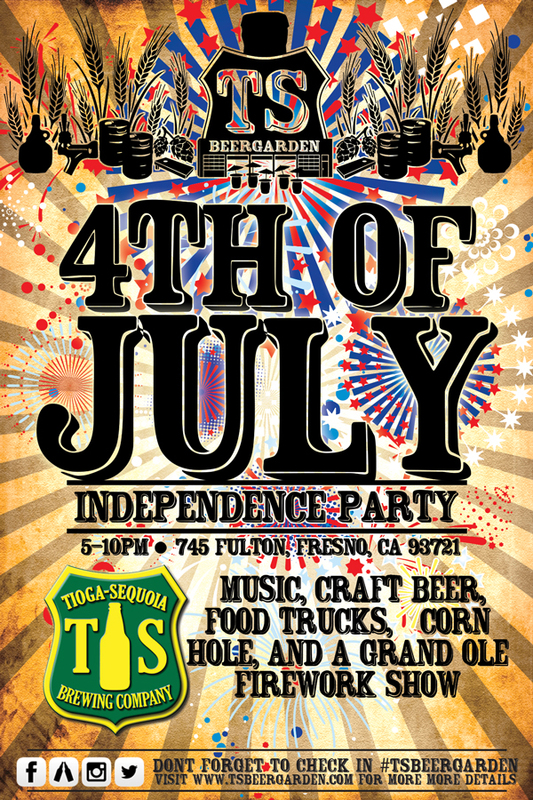 Independence Party at Tioga Sequoia's #TSBeerGarden | Tioga-Sequoia Brewery Co. The main focus of this event is to highlight the growth of the local craft beer scene in downtown Fresno and to provide a front row seat to the largest firework demonstration Downtown has to offer. 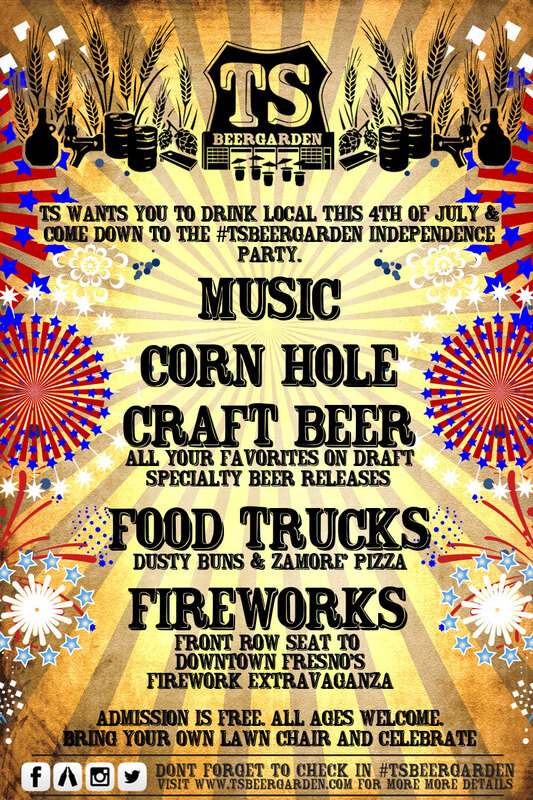 Other then fresh local craft beer and fireworks, there will be local food trucks, Dusty Buns and Zamore’ Pizza, serving up their delicious grub, as well as music, corn hole, and a great atmosphere for the whole family. Oh and we are going to be pouring the all new Tioga Sequoia RootBeer! A special “Kevin Coxation” our brewmaster, Kevin Cox, has been holding on to for years. It will finally be available for all those guests who are not 21+ or would just prefer a nice local non alcoholic beverage. We have also partnered up with Uber to make sure everyone gets home safely if they need a ride. Admission is free and all ages are invited. However you must be 21+ to drink beer. **Dont forget to bring your lawn chairs and maybe a blanket to lay out for the family to watch the firework show! Cheers to our Nation’s Independence! Cant wait to see you all on the 4th! Cheers!